Within the first ten minutes of The White Haired Witch of Lunar Kingdom, you realize that you’re going to have to seriously recalibrate your cheese tolerance levels. An adaptation of a Chinese novel, the film quickly introduces an apparently endless parade of bearded, angry men in elaborate armour who smirk at the camera like 1950’s serial villains. The rest of the movie is devoted to a super-saccharine, vaseline-on-the-lens love story that comes with a strong whiff of Twilight. Before I summarize the plot, I should confess that I didn’t understand most of it. 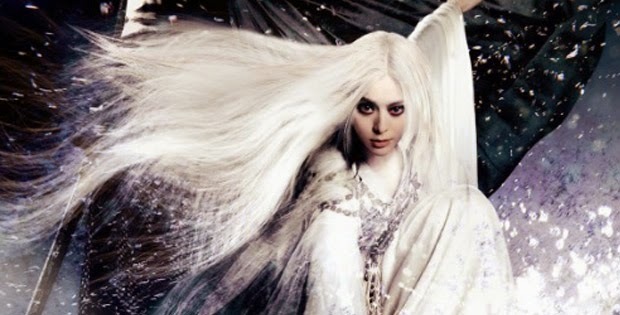 The White Haired Witch of Lunar Kingdom is a pretty well known story in China, being a smash hit novel first and having been adapted to cinema multiple times. So, Jacob Cheung’s film assumes you’re going to know who’s who before it even begins, a tactic that might save on exposition for Chinese audiences but spells bewilderment for everyone else.